For a genre that’s frequently about exploring different and alien cultures, SF hasn’t always been brilliant at noticing the ones already here on Earth. 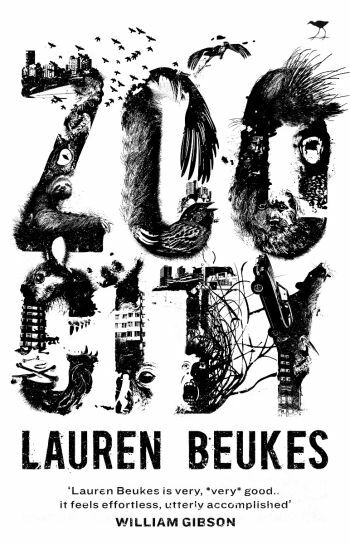 Thankfully, throughout the years there have been authors pushing SF into more unusual and exotic territory – recently we’ve had Ian McDonald bringing to life near-future versions of India and Istambul, and now, following up the bleak and bizarre Moxyland , Lauren Beukes has served up another darkly provocative tale of South Africa. An energetic and hugely imaginative fusion of sci-fi, fantasy and noir thriller, Zoo City has a distinctive and very political flavour that’s surprisingly close in its eerie strangeness to Jeff Noon’s cult 1993 novel Vurt . Like Noon, Beukes has created a convincing and frequently disturbing world, while also looking at the lost and the marginalised through the eyes of a compelling, believably flawed protagonist. The end result isn’t always an easy read, but it is a luridly distinctive, sharply crafted one. Packed with colour, dark humour and thought-provoking ideas, Zoo City is an absolute must for anyone with a taste for the wilder edges of the genre.